£100 returnable security deposit required. 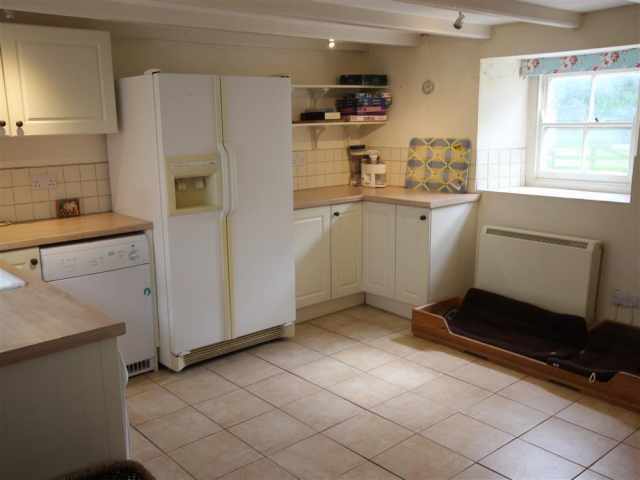 This property welcomes two dogs of any size. A 3rd dog may be considered depending on size so please ask the office. 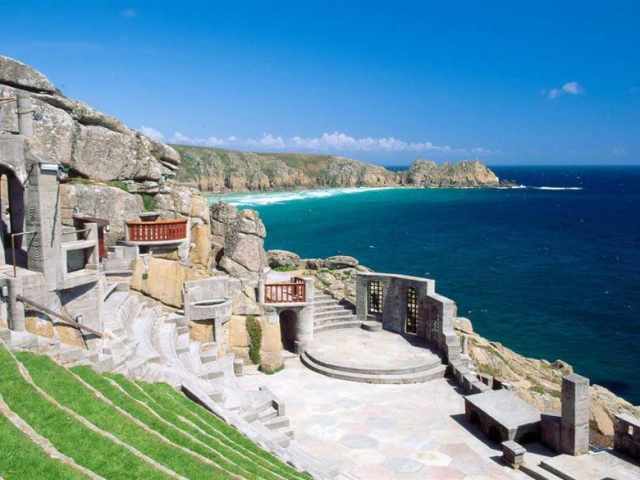 Close to Porthcurno beach, The Minack Theatre, the stunning Porthgwarra Cove (most recently connected with THE swimming scene from the television series Poldark) and within walking distance of Nanjizal beach, Raftra Farmhouse provides comfortable family accommodation for up to twelve guests. 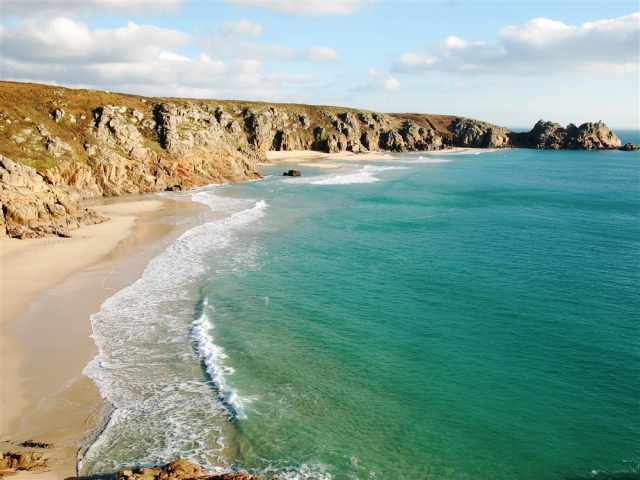 A typical Cornish granite built family home with easy access to lovely coastal and countryside walks, Raftra Farmhouse is the perfect holiday retreat for families wanting to holiday and relax together. 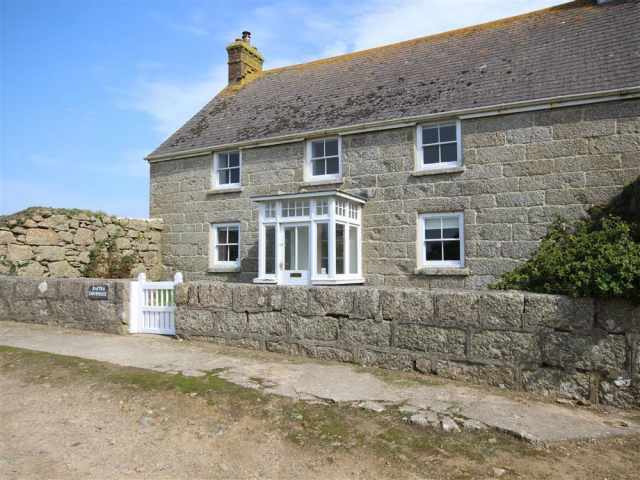 The nearest village of St Buryan has a small village store and post office as well as the popular St Buryan Inn which serves food throughout the day and evening. 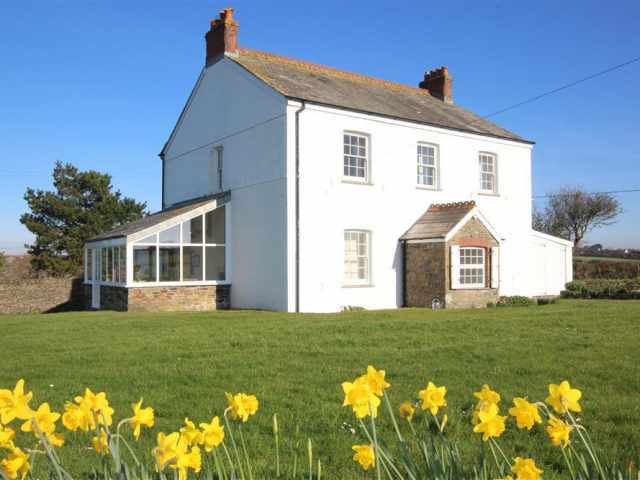 Raftra Farmhouse can accommodate up to 8 guests with an additional 4 guests accommodated in the separate two bedroom annex. 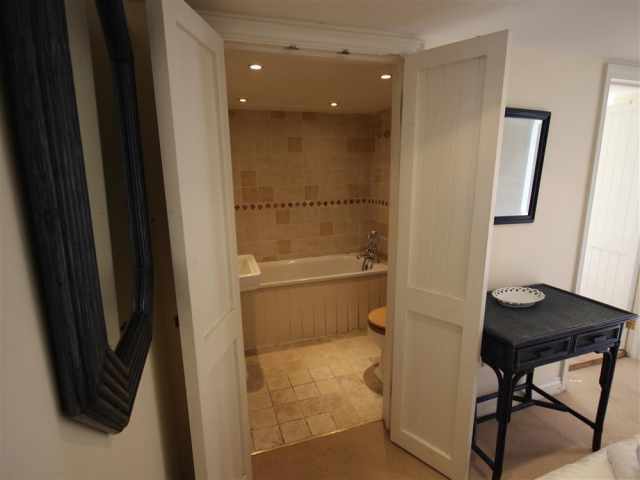 To the ground floor in the farmhouse you will find the main entrance hallway which leads to the large, well equipped and stylish kitchen/diner. 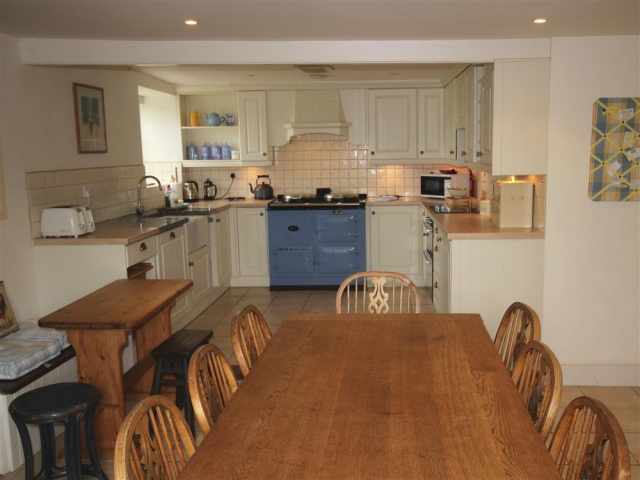 The kitchen provides ample storage and work surface space with electric AGA and modern electric fan assisted oven giving you a choice of cooking options! 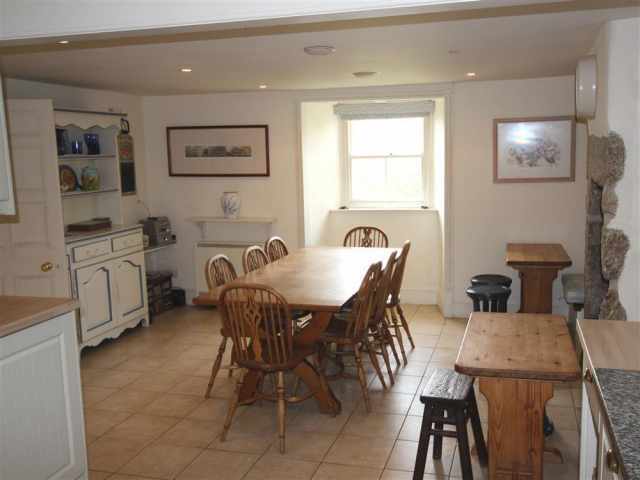 A farmhouse dining table and chairs within the kitchen seats 8 with additional bench style seating for 4 provided if required. 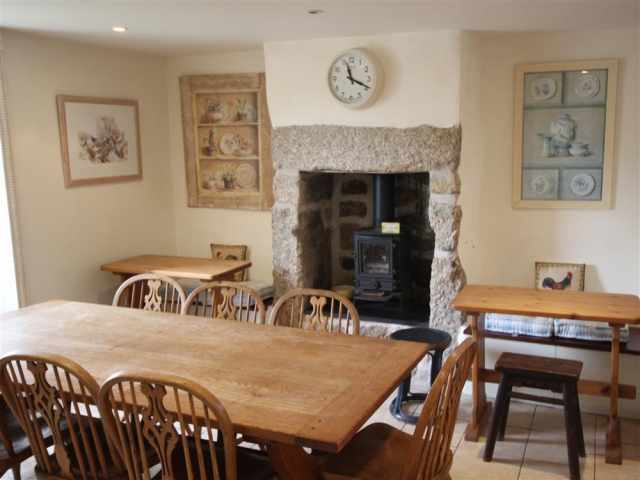 A wood burner provides supplementary heating to the kitchen/diner. Just off the inner lobby is a comfortable lounge with easy seating and attractive window seating enjoying countryside views. 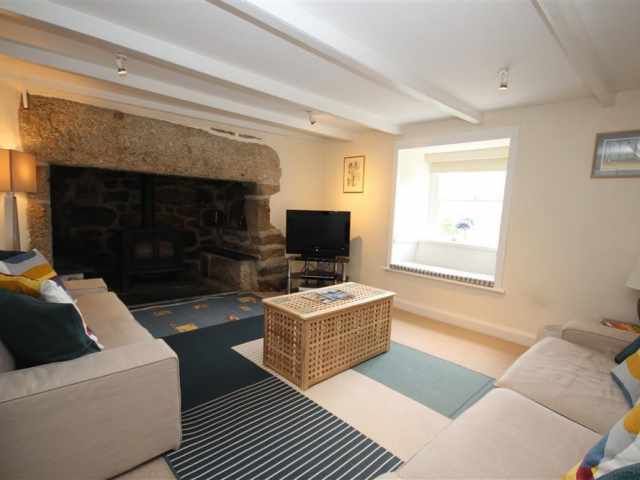 A striking inglenook fireplace takes pride of place with wood burner and original beams adding character. 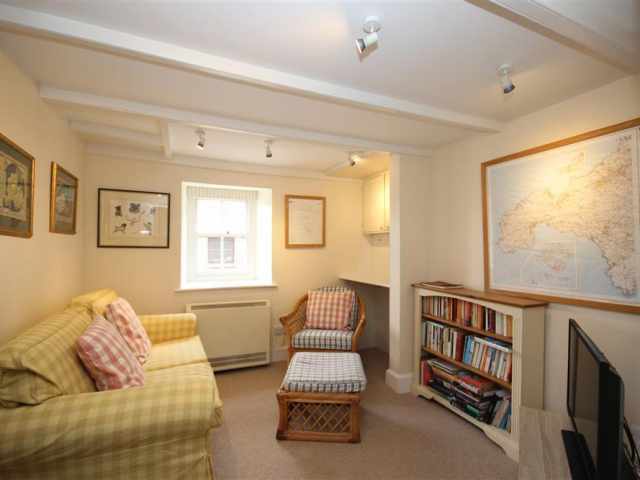 Next to the lounge is a Cornish snug (small lounge) which is kitted out to entertain the younger members of the party with television, books and games. Completing the ground floor layout is a spacious utility/boot room which houses all the laundry and extra refrigeration equipment. 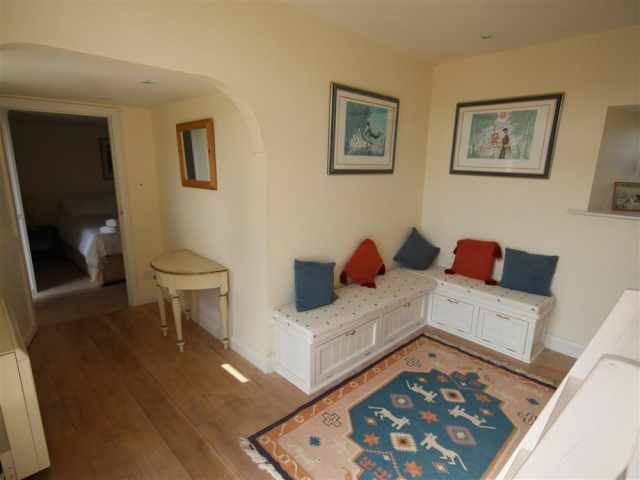 This handy room makes an excellent area too for any four legged members of the party with pet beds provided! 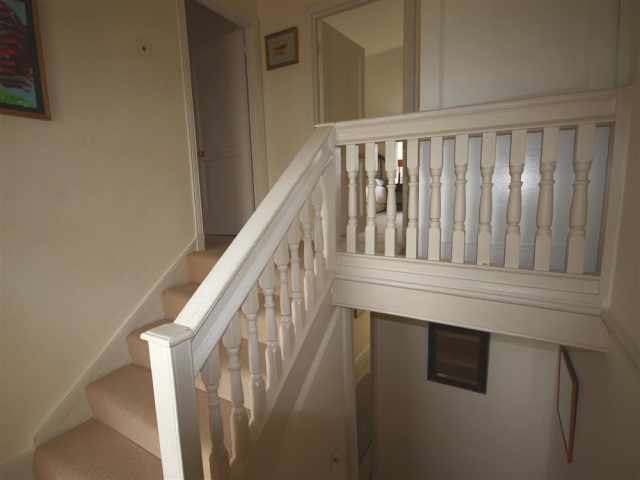 A split staircase with midway landing area takes you up to the bedrooms and bathrooms. 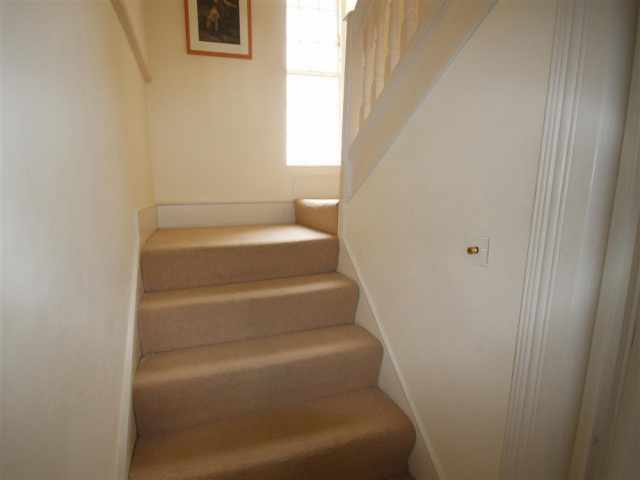 At the top of the stairs on the landing is a separate shower room with wash hand basin. 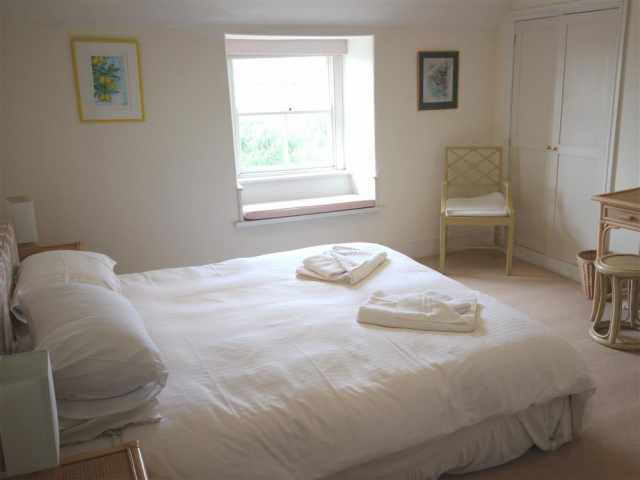 To the front of the property you will find the large master bedroom with super king bed and en suite bathroom WC with bath, handheld shower attachment and wash hand basin. 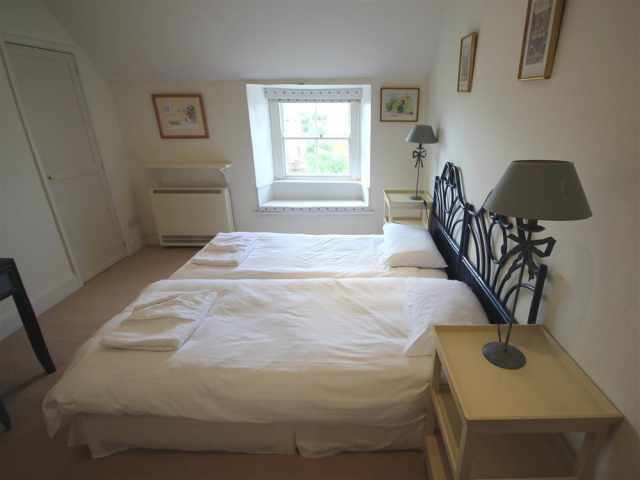 Next to the master bedroom is a twin bedroom with window seat and views to the front. A further twin bedroom to the front again with window seat and views can be made up as a king bed thanks to the versatile zip 'n' link bed arrangement. 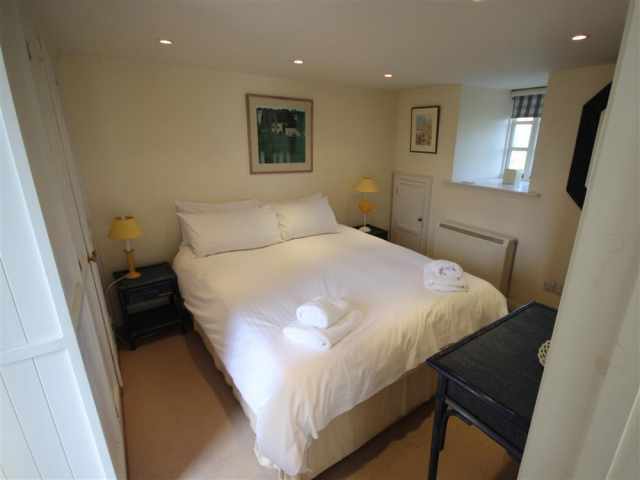 The final bedroom in the farmhouse is a spacious king size bedroom at the back of the property. 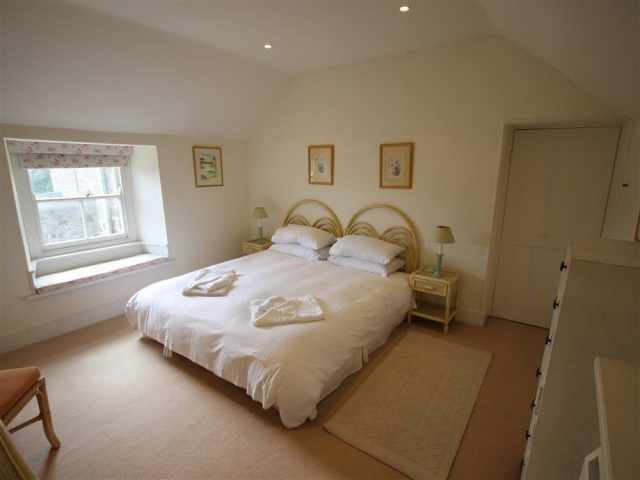 All the bedrooms are carpeted and heated by night storage heating. The majority of bedrooms provide hanging and shelf/drawer space. 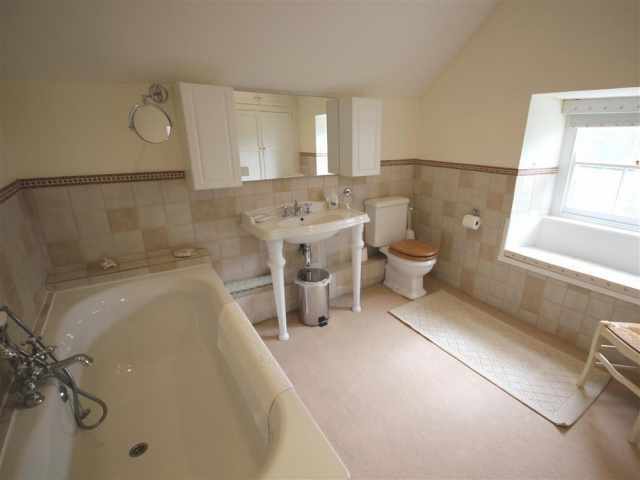 Finally a large family bathroom WC with bath, handheld shower attachment and wash hand basin. 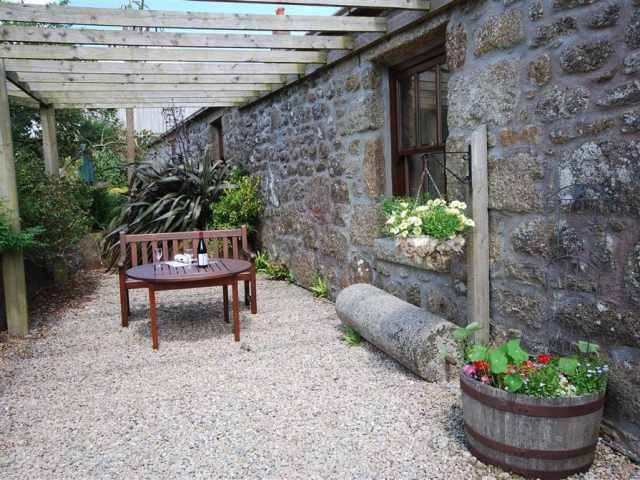 The two bedroom annex is separate to the main farmhouse but located just across the patio. 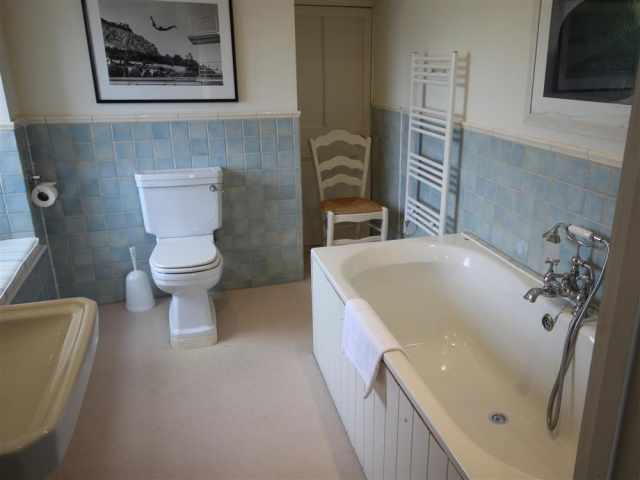 The annex accommodation comprises of a double bedroom with en suite bathroom WC with bath, handheld shower attachement and wash hand basin. 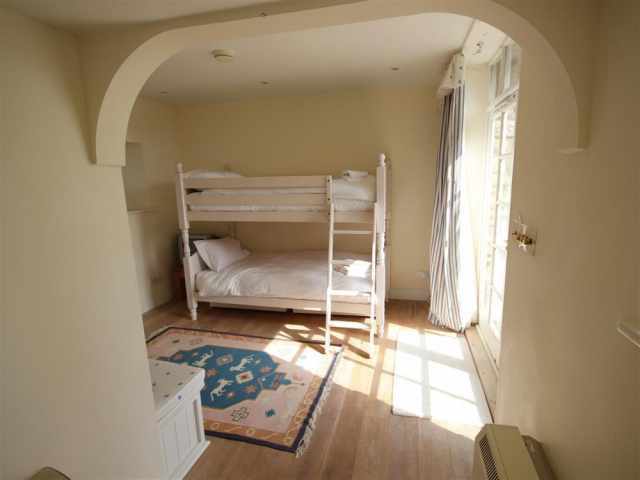 A seperate bunk bedded room off the double bedroom with French doors leading out onto the patio and garden completes the annex layout. The annex is heated via night storage heaters. 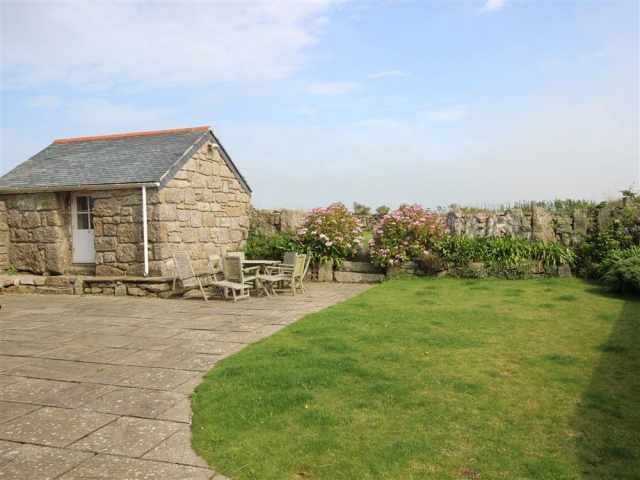 Outside to the back of the property there is a lovely enclosed lower garden with lawn and large paved area for alfresco dining. 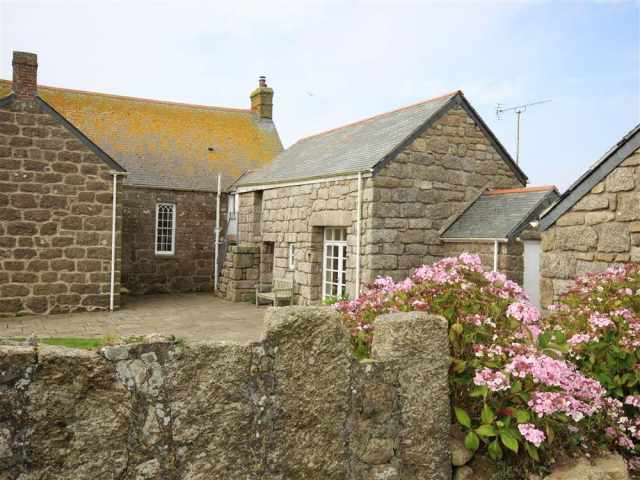 The owners have made clever use of the granite outbuildings and have created a handy wet room WC in one and a charming 'playhouse' for children with the other. 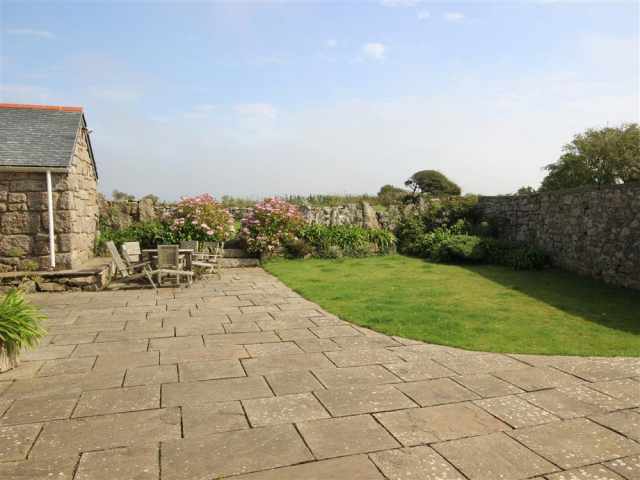 A higher tiered lawn garden has super views out across the neighbouring fields and countryside. 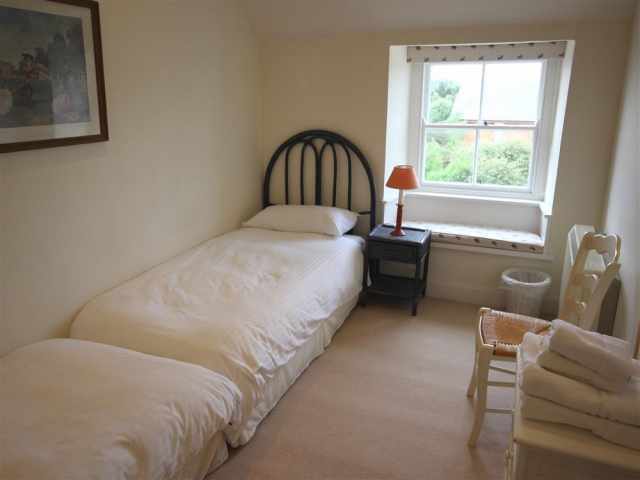 Next to the property is a lane where a further parking space for a third car is available and the orchard and field that adjoins the property is great for rough and tumble and family ball games. 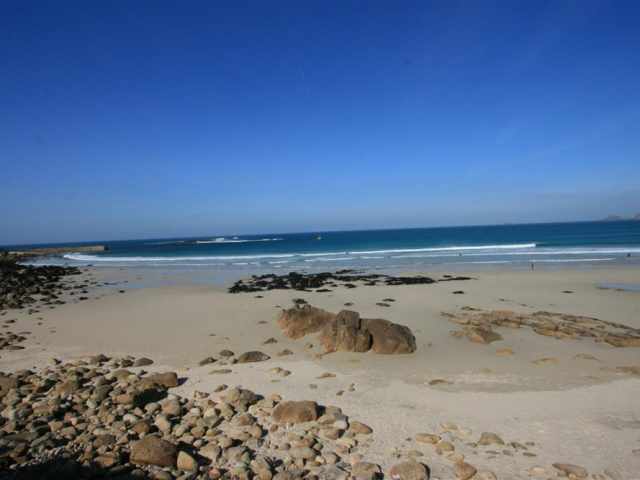 The lane leads down towards the coast and is perfect for early morning or evening walks. To the front of the property is parking on a loose graveled surface for two cars and a pathway up to the front door and enclosed porch. - Two dogs of any size welcome. - £100 returnable security deposit required.